Indian Navy’s second Unmanned Aerial Vehicle (UAV) Squadron – INAS 343, nicknamed ‘Frontier Formidables’ was commissioned on January 17, 2011 at the Naval Air Enclave, Porbander by Her Excellency the Governor of Gujarat, Dr. Shrimati Kamla. As UAVs are capable of sending real time live pictures of maritime targets to their command and control station, the squadron is expected to enhance the maritime surveillance and coastal security of the north-west coast of India. The squadron will have both Searcher MK II and Heron UAVs procured from Israel. 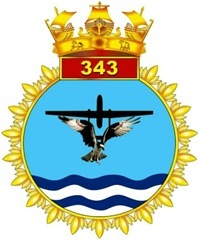 The first UAV Squadron of the Indian Navy, commissioned on January 06, 2006 is operational as INAS 342 at Kochi. Though trials of indigenous UAVs are in progress, it is not known when it is going to be available for deployment. Read more from the press release (as pdf doc) of Indian Navy.